The process of xenotransplantation—using pig kidneys and livers in human patients—has revolutionized medicine, freeing millions from dialysis, and sparing countless others from the slow death of waiting for a compatible human organ that may never come. Thanks to Paradigm Transplant Solutions, reliable porcine (pig) organs are available to almost anyone who needs one. Despite vigilant monitoring, some still fear that rampant animal transplants could cause an animal virus to crossover into the human population, triggering a catastrophic epidemic, but both the public and the medical community have been assured that PTS' genetically engineered pigs have been designed to be completely free of pathogens. 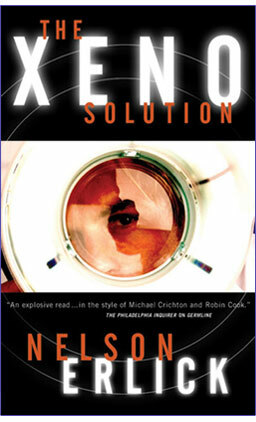 THE XENO SOLUTION is a gripping look at a frightening danger lurking on the cutting edge of modern medical science. In gene therapy, the damaged or defective chromosomes of an individual patient are corrected by the addition of new genes introduced into the patient's DNA. This is a dangerous and controversial technique, on the cutting edge of medical science. 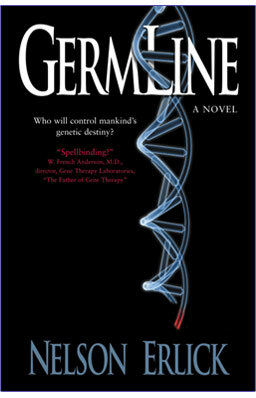 "GermLine" gene therapy is even more radical. By altering the reproductive cells, the germ cells, of a single individual, you can forever change the genetic makeup of that person--and all of his or her future descendants!